For believers in God who is love, the first part of the statement is fundamental to our faith. As to the second part, experience tells us that humans have an uneven record on forgiveness. The third part of this statement gives pause for thought. In context, Pope Francis was using the quotation regarding the unforgiving nature of creation to advocate care for the environment as our common home. Ours is a changing world. The Christian interpretation of evolution credits God with so much love for us as to allow our participation in the development of this cosmic order. Sometimes the work is ecstatically beautiful and at others bitterly painful. Throughout the liturgies of Holy Week and into the amazing celebration of the Lord’s Resurrection we are mindful of you and your families. May you know the deep truth that in God’s economy the pain we share with the Lord always leads to the joyful surprise of resurrection. 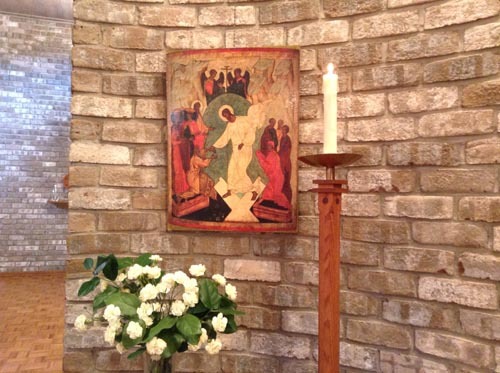 About 15 years ago the Association of Contemplative Sisters, Midwest Cluster, began meeting here at the Monastery. 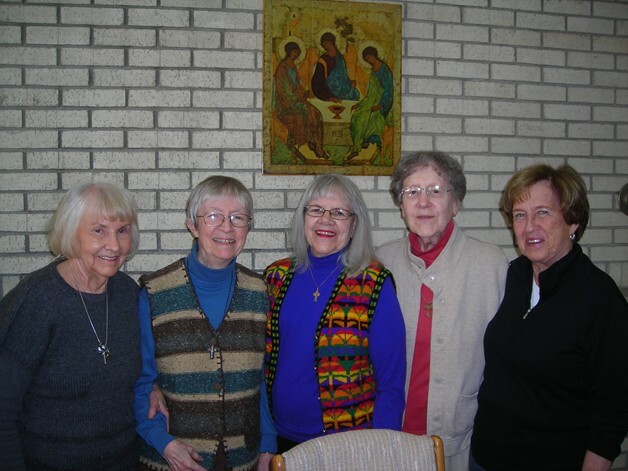 Sisters Helen and Jo are pictured with members of the group who meet here each month to pray and share with one another their experience of contemplative living. Recently they have been reading Judy Cannato’s Radical Amazement available from Notre Dame, Sorin Books, 2006.